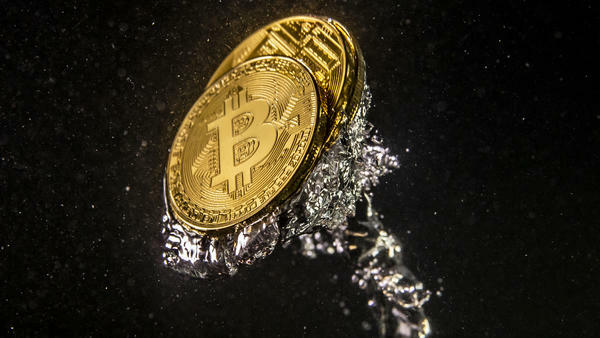 QuadrigaCX says it can't reach millions of dollars' worth of bitcoin and other cryptocurrency after its CEO died during a December trip to India. The CEO's laptop is encrypted, the company says. "Gerry died due to complications with Crohn's disease on December 9, 2018 while travelling in India," Robertson wrote, "where he was opening an orphanage to provide a home and safe refuge for children in need." Robertson, who is executor of Cotten's estate, also announced that Quadriga has put new limits on daily withdrawals, trying to keep pace with demand and resolve transaction problems that lingered through much of last year. In an update on its website about the debt filing, the exchange says it is facing "significant financial issues" that are keeping it from disbursing customers' funds. The company says that it has "very significant cryptocurrency reserves" — but that it can't locate or secure those reserves. As of the end of January, Quadriga had some 115,000 users with balances in their accounts, Robertson said. Those users' cryptocurrency was valued at $137 million in mid-December, with another $53 million in the form of government currency. The bulk of the holdings are in bitcoin; smaller amounts are held in other popular cryptocurrencies, including Litecoin and Ethereum. Even before Cotten's death, Quadriga was struggling to cope with transaction delays and other problems after legal disputes with a large bank and payment processors resulted in tens of millions of dollars being frozen. In large part, Quadriga's biggest crisis lies in how it (as well as many other exchanges) stores cryptocurrency customers' funds — in "hot wallets" that are used for quick-turnaround withdrawals and payments and in "cold wallets" that are stored offline to protect them from thieves and hackers. "The transfer of coins from the cold wallet to the hot wallet was performed manually by [Cotten]," the affidavit from Robertson states. Quadriga did not have offices or a bank account of its own; in the court filing, Robertson said, "Gerry ran the business through his laptop, mostly at our home, but also wherever he happened to be." The laptop that Cotten used to move funds between cold wallets and hot wallets is encrypted and locked — leaving the exchange paralyzed after Cotten's death, Robertson said. "I do not know the password or recovery key," she added. "Despite repeated and diligent searches, I have not been able to find them written down anywhere." Robertson said she and Quadriga have hired a security expert to try to break the encryption on Cotten's laptop and an encrypted USB key. But she added that so far, the expert has had only limited success. Saying "there should be in excess of $180 million [Canadian] of coins in cold storage" — or $137 million — Robertson wrote that the company is still trying to access the wallets, in addition to looking into the possibility that Cotten had used other exchanges to secure some of the funds. That has left Quadriga customers wondering when — and whether — they'll see their money. Discussion boards on Reddit are peppered with skeptical comments about the company's efforts to work out its issues, and some users say they have upwards of $80,000 or $100,000 that has been locked away from them. "This is a tough lesson learned. I would probably avoid [cryptocurrency] in the future," Quadriga user Elvis Cavalic of Calgary, Alberta, told the CBC news agency. After not being able to withdraw $15,000 [Canadian], he said, "They've left us completely in the dark. I'm kind of preparing for the worst." In the debt filing, Robertson said she has faced threats and has seen speculation online about whether Cotten is actually alive — some comments on Reddit and elsewhere have speculated that his death could be an elaborate ruse to siphon money away from the exchange's customers. Robertson's affidavit notes that a copy of Cotten's death certificate was submitted to the court, with the J.A. Snow Funeral Home stating that he died on Dec. 9, 2018, in Jaipur, India. In seeking protection from creditors, Robertson said she had convened a board of directors to run the company. And she asked the court to give Quadriga "additional time to find whatever stores of cryptocurrency may be available" and resolve other outstanding issues. "If this cannot be done in an orderly fashion, many, if not all users, may suffer damage," she wrote. When Quadriga was fully operational, its users could use a variety of means to fund an account with the exchange, from online transfers and automatic deposits to paying via cash or a debit card at thousands of Canada Post locations. Robertson said the many types of deposits made it difficult for the company to stop the inflow of money — even as it lost its ability to access or disburse funds. Robertson said Quadriga would consider selling its cryptocurrency platform as an option to fulfill its obligations to customers and creditors. Other companies have already come forward to express interest, she said, warning that the platform's value would almost certainly be undercut if the company faced a legal threat from its users.